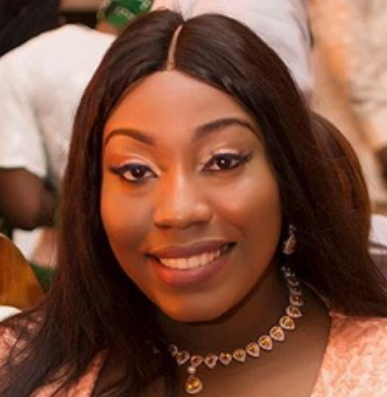 Check out this ‘Mummy Yo’ who almost caused serious kasala at a wedding ceremony in Benin Edo state this past weekend. 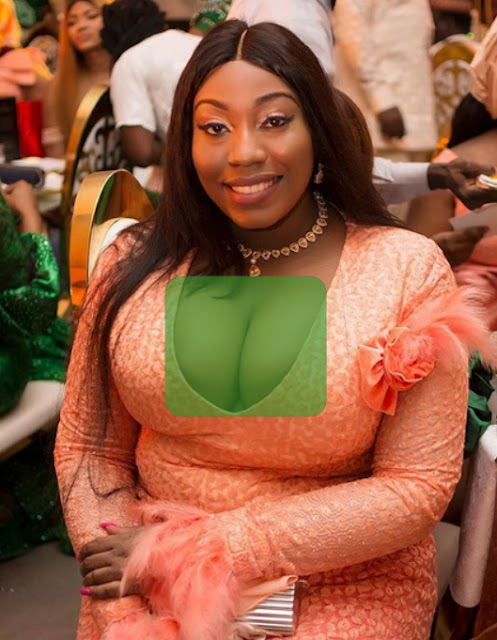 The calm looking madam was seen in a cleavage baring dress that put her most cherished asset in display at the wedding ceremony of Lagos-based designer Ehi Ogbebor in Benin Edo state on Saturday the 18th of November 2017. According to sources who shared the photo online today, some women who came to the event with their partners were forced to relocate their seats when the men at the function could not stop gazing at the madam’s frontal asset. She reportedly left the event after she was isolated by other guests. SHE AINT UGLY BUT DRESSED INAPPROPRIATELY AND THE ISOLATION SHE ENCOUNTERED IN THE EVENT WOULD DEFINITELY MAKE HER DRESS WELL NEXT TIME. Where are the police men who arrested those girls wearing mini skirts in Port Harcourt? @JJ tanx for cracking me up. Why is NG censoring her chest na? Shebi she get market wey she wan sell, why u de close her shop? I dont even understand what women are turning themselves into. Husband is scarce. May be wants another woman’s hubby. Immoral society. Shame of isolation has made you left the event. I don’t blame those women at all because even some believers brothers with little to nothing anointing will stare at those mouth watering watermelons.